Far, far more difficult than you might expect. 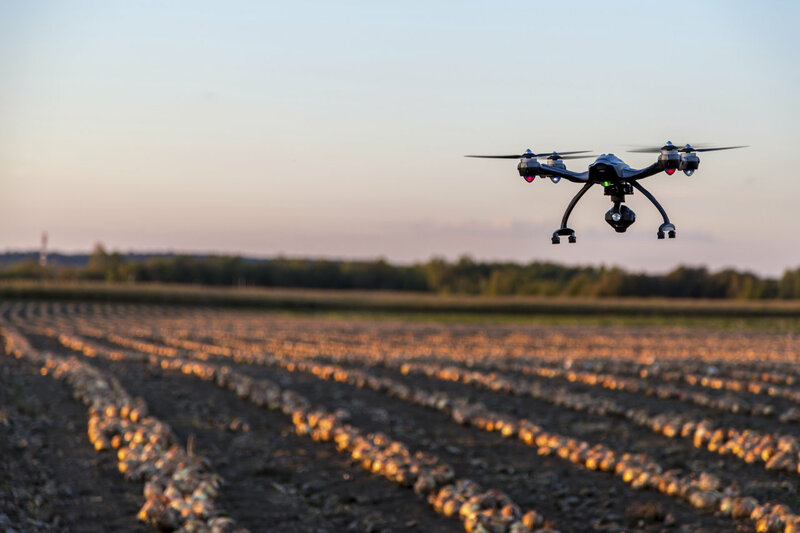 Simply watching the drone / aircraft as it flies away is no guarantee that you’ll be able to find it later on. (Anyone who’s played golf will know how difficult it is to follow the path of a golf ball through the air – and most of us are certainly not hitting golf balls as far as our aircraft can go!). While it certainly does make sense to keep watching which direction your plane is heading in, there are other things you’ll need to consider if you wish to get a pinpoint fix on where it eventually lands. This is one of the most common occurrences with an out of control drone of remote control plane. It’s something that happens with unfortunate regularity, that our prized possession may start going completely off course and end up in a forest or clump of trees. (Quite often without our having noticed there were any trees there in the first place, of course!). If the aircraft is on the ground, it may be slightly easier to find – although there are often piles of leaves, branches or other things that can quite happily obscure our view. But if the plane ends up in the branches halfway up a tree, or sometimes even higher, then it can be very difficult to see from our ground-based vantage point. 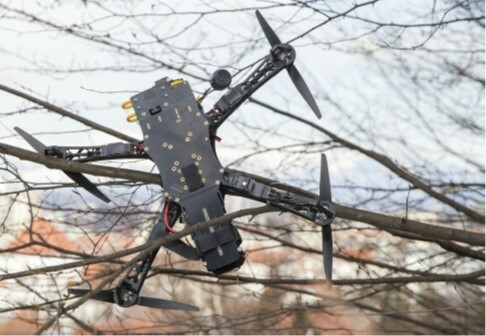 And of course, trees are not the only potential hazard for our drone or plane to end up in. The perils of having your aircraft land in water are well known to most enthusiasts as being something to be avoided wherever possible. If you are unfortunate enough to have your aircraft plummet into some water – a river, lake or reservoir, for instance – it can be very difficult to see it in order to be able to retrieve it for drying out and repair. As well as trees and water, it’s easily possible to lose your vehicle in a farmer’s field – for example in a field of corn or a similar type of crop. Unless you want to try and recreate the famous ‘crop circles’, locating your aircraft in these circumstances can be extraordinarily difficult. Attaching a tracking device – such as the Loc8tor Lite aircraft tracker – is by far the easiest method of keeping tabs on where your plane or drone gets to when it flies beyond your control. The item that attaches to your aircraft is extremely lightweight, so it won’t unduly affect your plane’s performance. And the system is designed to be extremely effective and simple to operate, indicating which direction you are going to find your lost aircraft in, right from the moment you first lose contact with it. With clear and obvious audio and visual signals, there’s no need to suffer from a lost drone or remote control plane ever again. Find our more in our Loc8tor remote control plane tracker shop.